IntelliTrack Inventory tracks inventory to a location, tracks lots and expiration dates, as well as automates inventory reconciliation. BaxTek Solutions offers mobile software solutions for a wide variety of data management applications across many industries. Explore the options below to find a system that meets your specific needs. 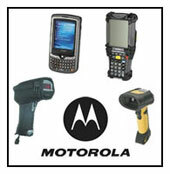 Provides an efficient and cost-effective method for conducting physical counts of inventories by utilizing mobile computers, such as PDAs or PDTs, to scan bar codes. 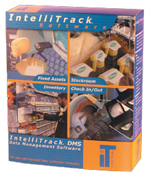 IntelliTrack Inventory tracks inventory to a location, tracks lots and expiration dates, as well as automates inventory reconciliation. IntelliTrack software contains user-customizable fields, which allow the user to specify the naming of each field to fit the terminology of their business, to generate user-customized reports, and to log into history the receipt and movement of inventory. Inventory is designed to help companies conduct physical inventories and track inventory to its location. Information about lots and expiration dates can also be tracked. Inventory is primarily used by companies who want to conduct a quarterly, bi-annual, or yearly physical inventory. There is almost no limit as to how you can describe Inventory. Lets you pre-check all of the data prior to updating the main database, ensuring data integrity. Usernames and passwords allow you to restrict a user to "view only" access, or five other levels of access. Portable time and date stamp. Know when you last moved or inventoried an item. Items are tracked to a location. Maintains a complete history of an items life cycle. View where an item has been as well as changes to the inventory count. Simple and straightforward help on-line. Serial #, lot tracking, expiration dates. Important in electronics, pharmaceuticals, laboratories, and others. You can manage an unlimited number of items in unlimited sites and locations.